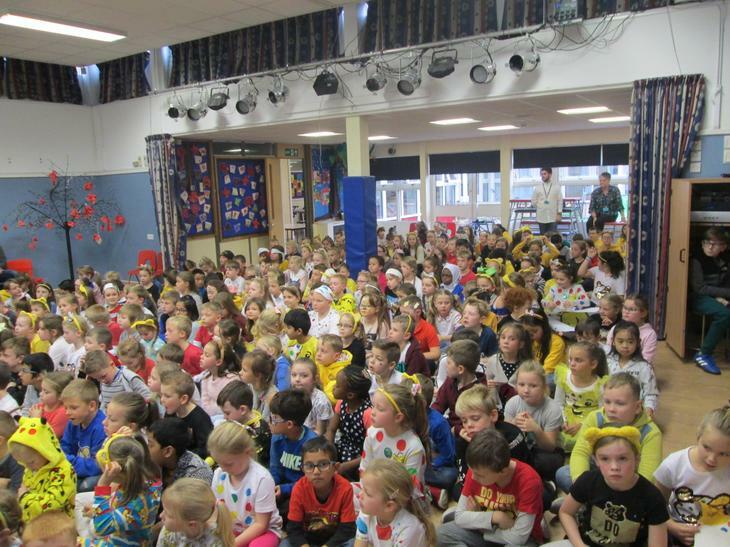 Children In Need 2018 was a huge success. 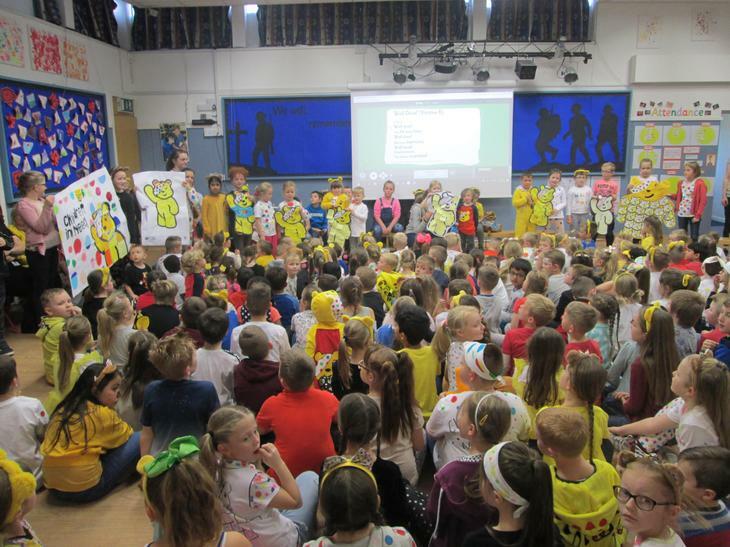 Thank you all so much for your generous donations and efforts - we raised an amazing £685! 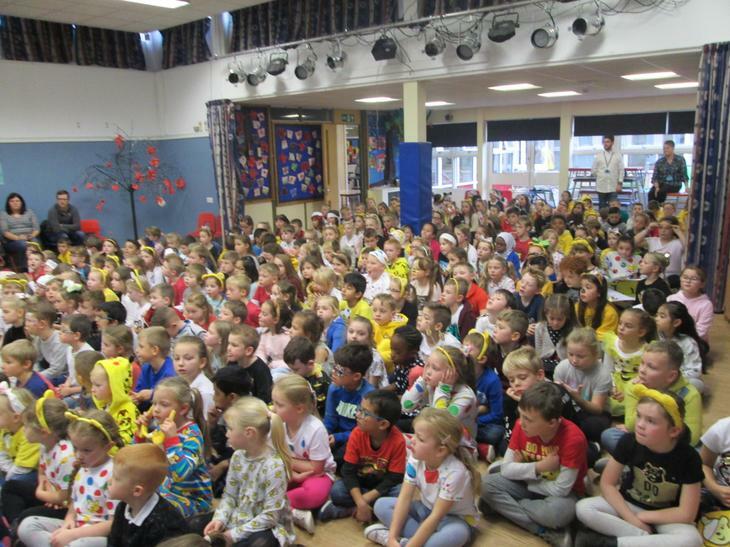 There were lots of activities in school. 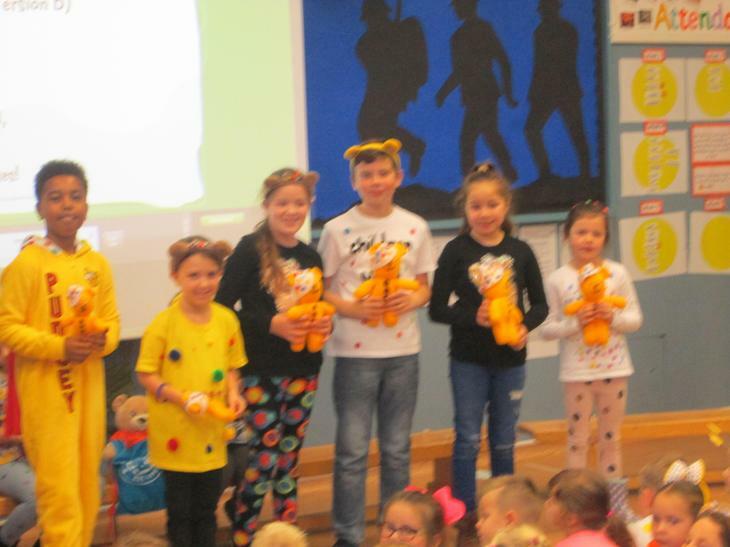 The class design a Pudsey competition was won by the Jaguars who have an extra playtime. 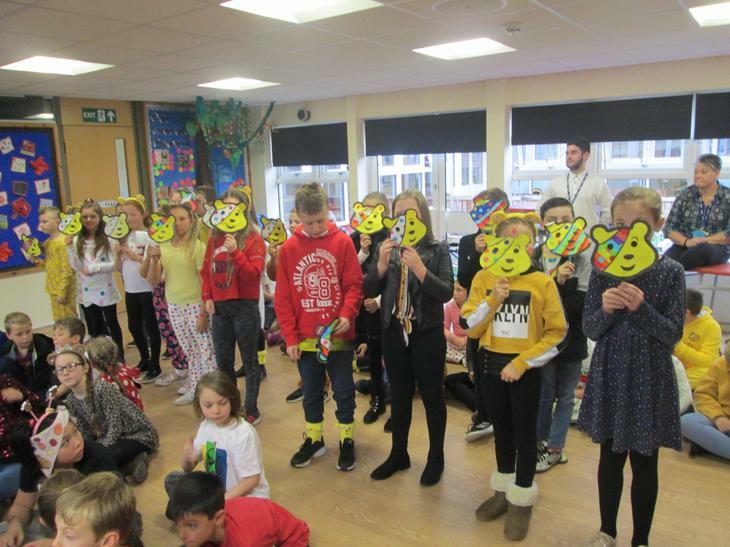 The Pudsey banadana winners were: Molly Parsons, Harriett Young and Poppy Rose McHugh-Hickman from Lions and Tigers, Evie John from the Panthers, Tyler Thorneycroft form Pumas, Grace Robinson from the Bobcats, Darcie Maxwell from Wildcats, Kaiden Dove from Lynx, Lucy Harvey from Cougars, Hon-Yee Tse from Cheetahs and Olivia Bryan from the Leopards. 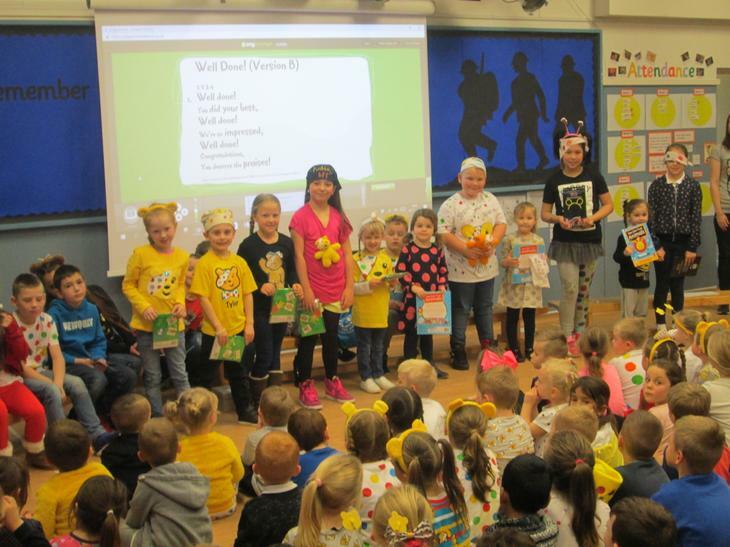 All other entries received a goodie bag. 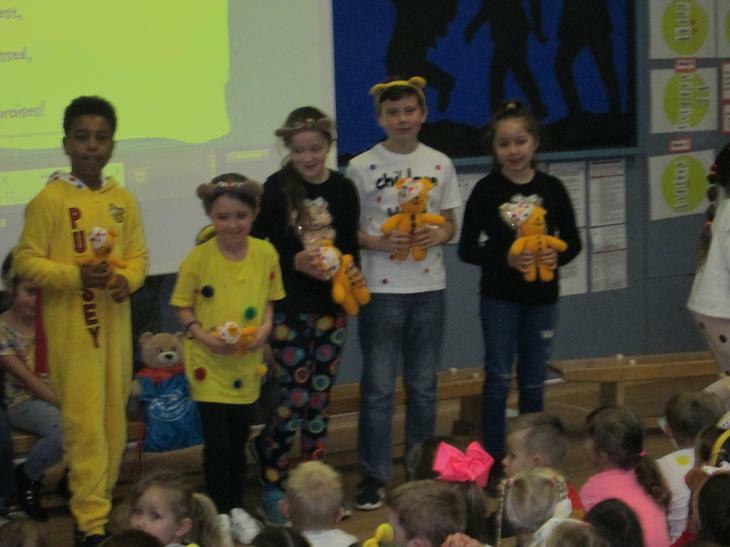 Sam Young and Mikell Manger were winners of the knitted Pudsey raffle.